Linking up with This Ain’t The Lyceum for another 7 Quick Takes Friday. Why? Because it’s fun and random and keeps me in the semi-habit of semi-regularly writing in this blog. I don’t really have a theme though…hmm…I think I’ll just call this week’s topic…um…yeah, I don’t know. Let’s see what it turns into. 1. This North Korea/Sony/The Interview thing is crazy. I don’t typically get into whatever the latest buzz or rumors or issues going around the entertainment world is – but for this, um, yeah, the whole thing kind of bothers me. I probably wouldn’t have even liked the movie, but now? NOW? Now all I want to do is see it and sooooo wish that we’d gotten it as a screener before all this went down. Alas. I don’t even think it’s going out for any awards to have even distributed screeners. Eh. Oh well. 2. Speaking of screeners…and tweets...Guess what other screener I got this week? INTO THE WOODS!!! Yes! I am so excited to watch it again. 3. Have I shared how much I love getting screeners? Me, a work-at-home-mom who hardly leaves the house and never sees movies anymore unless it’s reeeeaaaaallly worth it enough to pay a babysitter for? Oh I have. Ok nevermind. Sorry guys. I don’t have much of a life most of the time and having a husband who gets screeners is about the only time of the year that makes me feel the tiniest bit cool. 4. So to keep myself in-check (have you read my Hindsight #3 post?? ), I’m also just going to throw out an un-cool thing I did yesterday. I’m a really bad preschool mom. Yeah, I’m a TEACHER, you’d think I’d be better at these things. But really, I’m not. 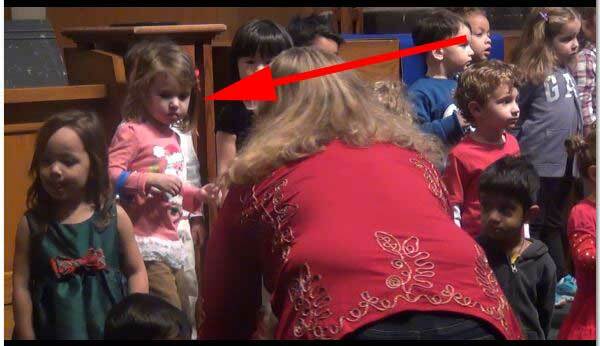 Today was the last day of my daughter’s T/Th preschool class before Christmas and all the preschool classes had a little Christmas presentation in the church sanctuary where they sang songs for all the parents. Thankfully I remembered about it and got there in time, video camera in hand. When I say on time, I mean, BARELY. As in, I was walking in to the sanctuary as all the kids were walking in. But I made it, baby brother strapped to my chest, and found a good vantage point from the side wall to video. My favorite moment was seeing my daughter looking out at all the parents, wondering if HER parents were there, then seeing me, and loudly proclaiming, “That’s my mama!”, proudly and happily. It was adorable. I couldn’t wait to play that moment back to KP when he got home from work. At the end of the short performance, I hit the button to stop recording. Only to see the red record light come on. Yep. I had never pressed record and had been in standby mode for the entire thing. Ugh. That’s my cute daughter. As she’s leaving. It’s the only part of the whole performance I recorded. In the grand scheme of things, it doesn’t matter. But I still felt dumb, having been standing there the whole time with my little camcorder, filming nothing and for no reason. Ha ha, oh well…Sorry KP! I should also mention that I did nothing cutsey for my daughter’s teacher for Christmas presents. I didn’t even bring them a card. I just forgot I guess and didn’t even think about it until all the other parents had things. Seriously, I’m horrible at these things. I will never, ever, ever be a room mother. Maybe I can bring my daughter’s teachers a New Years gift instead? 5. I really do like Pinterest though. 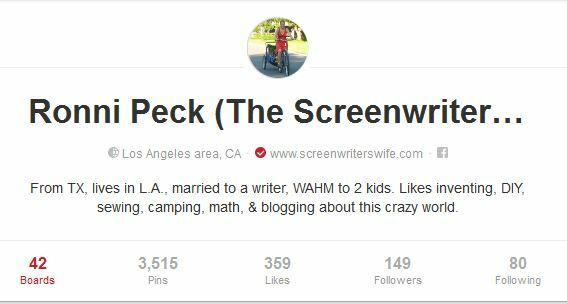 I even figured out how to add my pinterest profile/board to my side menu of this blog! Ok, I haven’t done it yet…but I did add the widget. Now I just have to figure it out. My Pinterest profile. See that little red check next to my URL? Yeah, that means I’m legit now. I guess? I don’t know. Either way, it looks kind of cool, I think. 6. 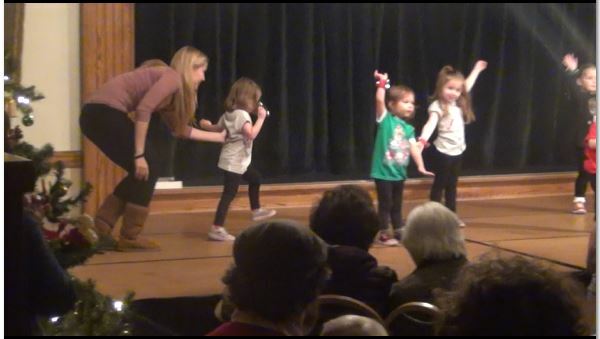 Speaking again of my daughter, after preschool on Tuesdays, she takes a Dance Tots class. They don’t really do much at this age, but they move around to music and hey, it gets me an extra hour of time to work and it wears her out so she naps better (thereby giving me even more time to get work done during her nap). Oh, did I just say that my daughter naps so I can work? Yeah, nevermind. And last week, they had a little Christmas Performance for all the classes. I was excited and interested to see how she was going to do. She had been so excited beforehand, excitedly telling me everytime she’d hear Jingle Bell Rock on the radio that it was her dance class song. But, my daughter is sometimes in her own little world when it comes to things like this (yes, yes, I realize she’s so much like her mother… 🙁 ). So I wasn’t sure how’d she do. How did she do, you might ask? Here you go. Guess which one’s my daughter? Oh, yeah, the one who spent half the song quite literally marching to her own beat. 7. Because I’ve apparently been on a photo overload in this post, here’s a picture of my adorable son too. Best. playpen. ever. Until he toppled over when I wasn’t paying attention. Hmm. 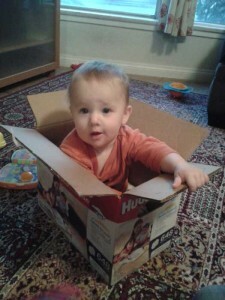 Ok, now that I’m done, I think I shall call this post: Screeners, Twitter, and Kids. It works.